Recently, California Governor Jerry Brown signed SB 1046 into law after the State Senate and Assembly voted overwhelmingly in favor, (unanimously with the exception of one “no vote recorded” in the Assembly). This law will require that all persons convicted in California of a DUI, even a first offender, to install an ignition interlock device, or IID, in all the vehicles s/he owns for a specified period of time. An IID is a machine that is installed in your car’s ignition. In order for your car to start, the driver must first blow into the machine. If no alcohol is detected, the car will start. If alcohol is detected, the car will not start. In addition, as the car is running, it requires additional breath samples with no alcohol detected to keep the car operational. Currently, there are four counties in California that are participating in the ignition interlock device, IID, pilot program: Los Angeles, Alameda, Tulare, and Sacramento, per California Vehicle Code Section 23700. The pilot program requires all driving under the influence, DUI, defendants, including first time offenders, to pay for, install, and then maintain the IID for a period of time as determined by the number of drunk driving convictions the individual has. An IID is a breathalyzer instrument that is professionally installed in the defendant’s vehicle by a court-approved company. The driver must blow into the device, providing an alcohol-free sample. If alcohol is detected, the car will not start. Once started, the driver will be prompted to give another sample within 15-minutes of driving and then again about every 45-minutes. If alcohol is detected during a random sample, the car will stall and become inoperable. These are referred to as “sample failures” and are reported to the court. San Diego County Going To Require IID’s For All DUI Convictions? What is an IID? It is a breathalyzer instrument that is professionally installed in your vehicle by a court-approved company. The driver must blow into the device, providing an alcohol-free sample, in order for the car to start. If alcohol is detected, the car will not start. Once started, the driver will be prompted to give another sample within 15-minutes of driving and then again about every 45-minutes. If alcohol is detected during these random samples, the car will stall and become inoperable. Sample “failures” are reported to the court. San Diego DUI Lawyers Blog posted an article on January 4th, 2013, announcing that Qinetiq, a Massachusetts company, was given a $10 million grant from the federal government and all sixteen major car makers to develop a technology that would prevent a car from operating if a driver has alcohol in their system. The new technology would be a safety feature in each vehicle much like a seatbelt. And, it would operate much like the ignition interlock devices, or IID’s, that are already being ordered by criminal courts in some drunk driving matters. Current IID’s require a person breathe into the apparatus before the car will start and then continue to provide breath samples while driving to keep the engine running. 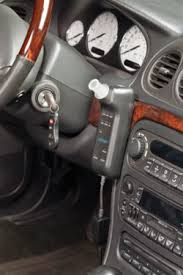 These safety devices probably won’t end DUI arrests because they do not detect drugs and the driver can always have a passenger blow into the device. However, have you seen the new car concept by Google? The prototype has no gas pedal, brake, or steering wheel! Instead it uses software and sensors to navigate. All you have to do is enter your destination into a computer and the “vehicle” does the rest. This would eliminate the “driving” element of driving under the influence as the computer sensors and software would be “driving” not a person. This may very well end the need for drunk driving laws and DUI enforcement. This is the very question that is currently before the Supreme Court of the United States, (see David Riley v. State of California). The ruling can potentially impact anyone who is arrested while having a cell phone in their possession. In August of 2009, San Diego college student, David Riley, was pulled over by a cop from the San Diego Police Department, for having expired tags on his Lexus. The officer ran Riley’s information and found that he was driving on a suspended license. The vehicle was impounded and an inventory search of the vehicle was conducted to document the contents. Riley was then arrested for carrying concealed and loaded weapons that were found during the search of his car. His cell phone was found and seized. It was a smartphone, with internet access, capable of storing photos, videos, voicemail messages, and emails. The officer conducted a cursory search of the phone at the scene and then a detective went through the phone more thoroughly at the police station. The officer found some text messages that contained the letters CK, which he believed referred to “Crip Killers,” a gang reference to the “Bloods.” In addition, the photos showed what appeared to be the defendant with a car that was thought to be used in a shooting. Subsequent to the cell phone search, Riley was arrested in connection with the shooting. It was further alleged that the defendant was a member of a gang and the crimes were committed for the gang’s benefit, thus exposing him to enhanced penalties. Prior to the trial, the defense motioned the court to suppress all of the evidence obtained by the cell phone search, as it was done without a warrant and without exigent circumstances, thus violating the Fourth Amendment of the United States Constitution. The judge denied the motion, finding that the search was legally conducted incident to the arrest. The first trial hung but the second resulted in a guilty verdict. Riley appealed claiming the warrantless search of his phone was unconstitutional. The Law Offices of Susan L. Hartman agrees with Riley, the Petitioner in this case. The new smartphones are not just phones. They are basically small computers that store a lot of personal information. If an officer confiscates a smartphone incident to a lawful arrest, law enforcement should be required to get a search warrant in order to search the contents of that phone. Without the warrant, any evidence found during that illegal search should be excluded from trial, as well as any evidence that is found because of the information that is gathered during the illegal search of the phone, (fruit of the poisonous tree doctrine). Stay tuned as the Supreme Court of the United States is expected to announce its decision on this issue in June. If you’re charged with a crime in San Diego, it is imperative that you know your rights and the law. Officers will use whatever they can to prosecute you. 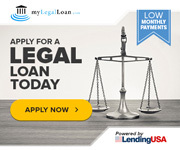 Protect your interests, hire a criminal defense attorney.